Dealing with domestic cleaning chores can definitely feel like an impossible feat. Coming home after a hard day at work and seeing the never-ending cleaning tasks is definitely no fun. That is why our company Top London Domestic Cleaners can become your best friend. We have been operating in Highgate for a number of years and we can firmly say that our clients love the work we do. Our company offers a lot more than a mere cleaning service in Highgate. We present our clients with professional attitude and our domestic cleaners that are always ready to help out with household chores. You will find out that we don’t shy away from difficult cleaning jobs, nor are we challenged by tasks like oven cleaning and sparkle spring cleaning. You can count on our help whenever you need to have your home cleaned and sparkling in no time. We make the most of modern gear and methods that have proven to do wonders in any home. If you’d like to learn more about our domestic cleaning services, don’t hesitate to contact us at 020 3322 8143. Our company has already acquired a vast number of clients in the area. They have put their trust in us and we have shown that we deserve it. We stand by our promises and will never settle for anything but the perfect outcome for one of our clients in Highgate. You too can join the club by contacting 020 3322 8143. Top London Domestic Cleaners is the company that can make all of your domestic cleaning troubles disappear. We guarantee that once you try out our services, you will never again want to clean on your own. 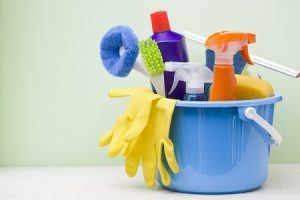 Such is the power of a well-designed and performed domestic cleaning in Highgate. Highgate, located just at the north-eastern corner of Hampstead Heath, is a suburban area divided among three London boroughs: Camden, Islington and Haringey. Currently, Highgate is known as one of the capital’s most expensive and exclusive suburbs. Perhaps the most notable aspect of the area is Highgate village. It is comprised of a vast collection of pubs, restaurants, streets and shops, mostly dating from the Georgian era. Among the most famous landmarks here are St Michael’s Church and steeple, Highgate School (dating back to 1565). Jacksons Lane arts centre, which is housed in the former church with a Grade II listed building and then there is also the famous Victorian cemetery, in which rests the notable communist philosopher Karl Marx, along with other famous names. Take advantage of an A-class domestic cleaning in Highgate right away by getting a quote from Top London Domestic Cleaners on 020 3322 8143.